Published: Sept. 29, 2015 at 09:37 p.m. Updated: Sept. 30, 2015 at 02:04 p.m. So far, we have covered Offensive Rookie of the Year candidates, defensive front sevens and satellite backs. After hearing Dan Hanzus declare on the Sunday night wrap-up edition of the Around The NFL Podcast that Julio Jones is the NFL's best wide receiver, it seems like the perfect time to address that position. These rankings are based on all data at our disposal. 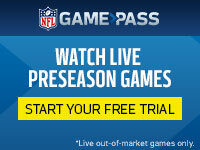 Early in the season, that will include NFL Game Pass clips from the past few seasons, preseason film, traditional statistics, advanced metrics, expected role and quotes from teammates and coaches. The premise is which receiver we would want to utilize for the rest of the 2015 season. After much internal debate, I opted to include Dez Bryant and disqualify Jordy Nelson. These rankings are about the 2015 season. By all accounts, Bryant is expected to return to the Cowboys while Nelson won't play a snap this year. I bridled all offseason at the notion that the wide receiver debate can be boiled down to a top-three or top-five selection. It made no sense to exclude A.J. Green because he played through injury or Demaryius Thomas because he's not a household name. Before Nelson's injury, there were clearly eight dominant wideouts with little separating each other. Now there are seven. 1. Julio Jones, Atlanta Falcons: Long before Hanzus and Bucky Brooks were hailing Jones as the best receiver on the planet, NFL Media's Gil Brandt and Jones himself had reached the conclusion. He's playing with more power and more speed than any top receiver, recording the most receptions in NFL history through the first three games. More valuable than franchise quarterback Matt Ryan, Jones has been the engine that makes the Falcons go since he entered the league in 2011. His numbers are better this year not only because he's found "another gear" after shedding five pounds, but also due to Kyle Shanahan's offense, which features an increase in quick strikes to Jones near the line of scrimmage. 2. Antonio Brown, Pittsburgh Steelers: Is there any higher praise than acknowledging that no cornerback can cover Brown? Brown's streak of 35 consecutive games with at least 50 yards and five receptions is one of the most impressive feats of the past three seasons. Even better, he now has 14 straight games with at least 70 yards and seven receptions. 3. Odell Beckham, New York Giants: Essentially a carbon copy of Brown on in-breaking routes and an early-career Steve Smith outside the numbers and downfield, Beckham has the potential to become one of the greatest of all-time. His 110 receptions and 1,574 yards are the most in NFL history through 15 games. Since making his debut in Week 5 of last season, his 14 receiving touchdowns lead the league. 4. Calvin Johnson, Detroit Lions: It seems blasphemous to rank Megatron outside the top three, but the big games aren't coming as easily for him as they are Jones and Brown. Is that because Johnson has lost a fraction of step due to injuries and age, or is the Lions offense simply acting as a drag on his production? The Chargers used Brandon Flowers and Eric Weddle in bracket coverage to open the season. Since then, Johnson has had to work hard to get free from physical corners Xavier Rhodes and Aqib Talib. Whereas Kyle Shanahan and Todd Haley emphasize the run-after-catch abilities of Jones and Brown in quick-strike offenses, it has been more of a challenge for Lions coordinator Joe Lombardi to get the ball in Johnson's hands for big-play opportunities. 5. A.J. Green, Cincinnati Bengals: After relatively quiet games against the Raiders and Chargers, Green torched Jimmy Smith for 227 yards and two touchdowns on 10 receptions in Week 3. We know Green is one of the best in the business, but that performance might say more about Smith's 2015 form. The Ravens' top cornerback looked a step slow the previous week when Amari Cooper broke out for 109 yards and a touchdown. 6. Demaryius Thomas, Denver Broncos: As a run-after-catch specialist, Thomas' numbers have been hurt by defensive adjustments to Peyton Manning's diminished physical skills. With defenses crowding the line of scrimmage and daring Manning to go deep, Thomas has had fewer open spaces to exploit on bubble screens, slants and crossing routes. His numbers should improve as Manning finds his footing out of his familiar shotgun and pistol formations. 7. Dez Bryant, Dallas Cowboys: We have little data to pull from this season, but we know Bryant has been the NFL's most effective red-zone force over the past three seasons and a demon after the catch. There's no reason to believe he won't be a top-tier receiver once he returns from his foot fracture, but we might have to wait until December to see him back in uniform. 8. Larry Fitzgerald, Arizona Cardinals: I never bought into the idea that Fitzgerald was a shadow of his former self. When he and Carson Palmer were both healthy last season, Fitzgerald produced a five-game stretch as impressive as any since 2011. The biggest difference this year is that Palmer implicitly trusts Fitzgerald to make catches in heavy traffic, whereas last September he and Bruce Arians emphasized not forcing the ball to his No. 1 receiver. The last time Fitzgerald posted a three-game stretch as dominant as his current marks of 23 catches, 333 yards and five touchdowns was his epic 2009 playoff run. 9. Steve Smith, Baltimore Ravens: "He's like Halley's Comet," NFL Total Access host Dan Hellie said this week. "You won't be seeing another like him for quite a while." Smith has played like a man possessed this year, becoming the oldest player ever to record at least 10 receptions for 150-plus yards in two straight games. Asked if he's playing the best football of his career, Smith responded Sunday night, "Um, I guess." He no longer has the vertical speed, lateral explosion and astonishing vertical leap that made him the most dominant receiver in the game from 2005 to 2008, but he's worth the price of admission to watch him fight through every defender "as if he'll have to retire the minute he hits the ground," as Gregg Rosenthal wrote Monday. 10. DeAndre Hopkins, Houston Texans: After Hopkins authored the single most impressive performance we witnessed by a receiver in 2014, coach Bill O'Brien raved this offseason that "Nuk" is one of the best receivers in the game. Hopkins has made good on that praise in September, producing top-10 numbers in spite of the league's worst quarterback situation.